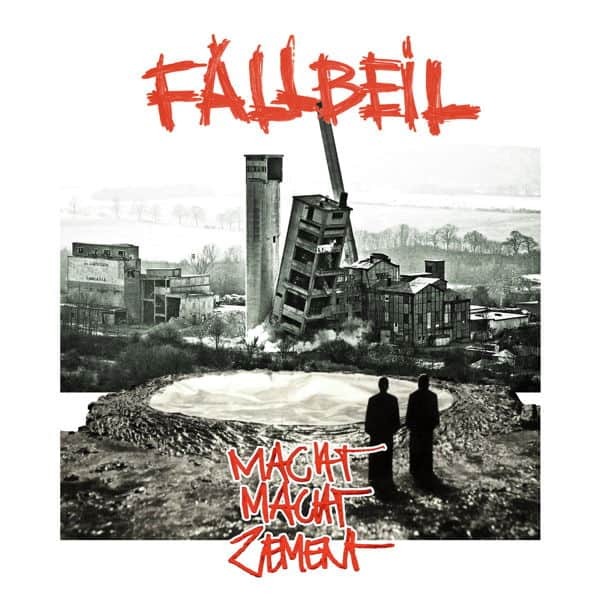 ‘Macht Macht Zement’on Killekill Berlin – what does it mean? 80s drums, synths and vocals, almost without context. Fallbeil, two soon-to-be men (aka boys), finish tracks at the rate of butchers kneading meatballs. Due to laziness and a lack of technique, everything gets recorded on one track and immediately thrown into the frier. Nothing is planned. First up, school detention followed by rough LoFi rap. The album contains a wide variety of themes; from mailmen to warthogs, from latecomers to sensible conversation, every track is created out of spontaneity. Two very short tracks on this album date back to 1999, when the boys performed as ‘Funky Granatos’ in the local youth centers. Sadly, their performances weren’t successful. Nobody wanted to listen to them and almost every concert ended in mass brawls. The track ‘Postman’ comes from the duo’s side project Grand Malheur and was recorded in 2015 in Bronxfeld. More output from this project will appear on various EPs in the near future. The album title ‘Macht Macht Zement’ originates from Tom Pötgen. Tom always wanted to throw the sacred hand grenades. We hope he does that right now!